magnetic island | I Haz An Adventure! 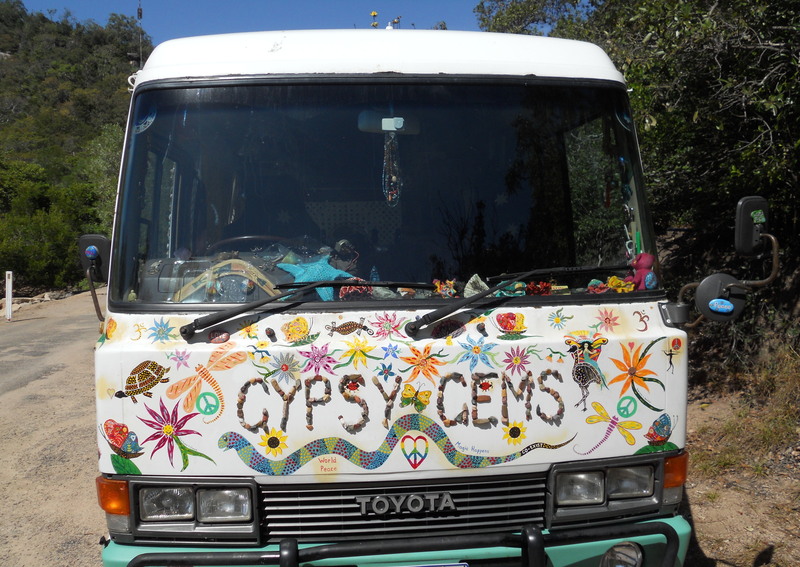 Gypsy Gems – My Inspiration! The van, the lifestyle, the soundtrack! 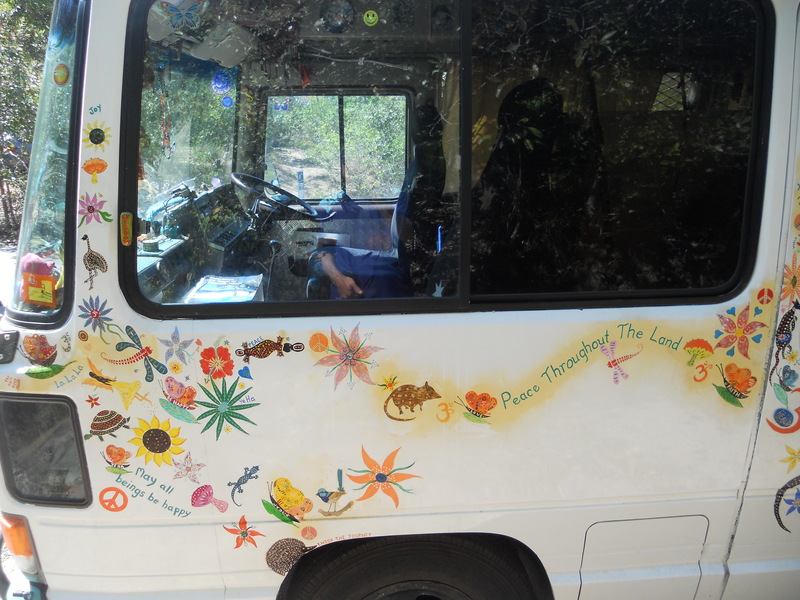 The idealism of the hippie movement – oh, where have all the hippies gone?! We found a couple of them on Magnetic Island, Far North Queensland. 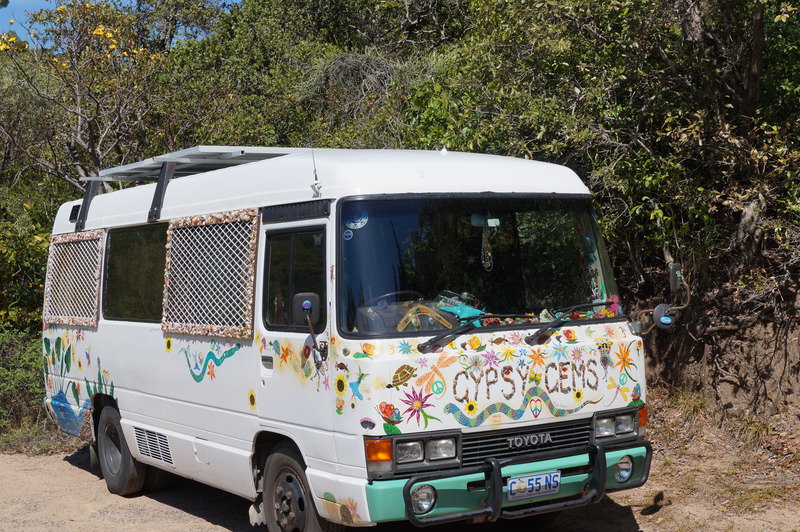 My eyes lit up as we drove into the bush car park and I spotted the magnificent Gypsy Gems – the embodiment of a free and joyful life on the road. 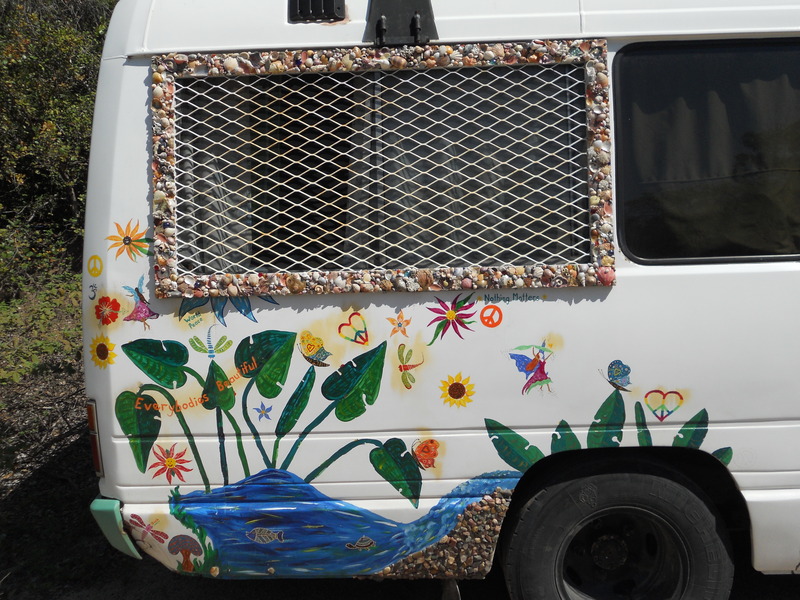 This very cool little van was decorated with colourful seashells that glittered in the sun, and boasted its own solar panels. 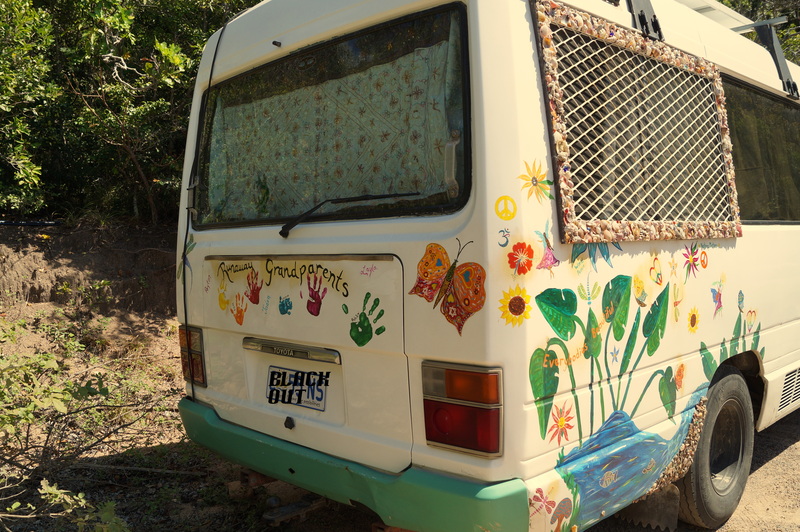 It was painted with soulful phrases and beautiful murals depicting nature, peace and joy. 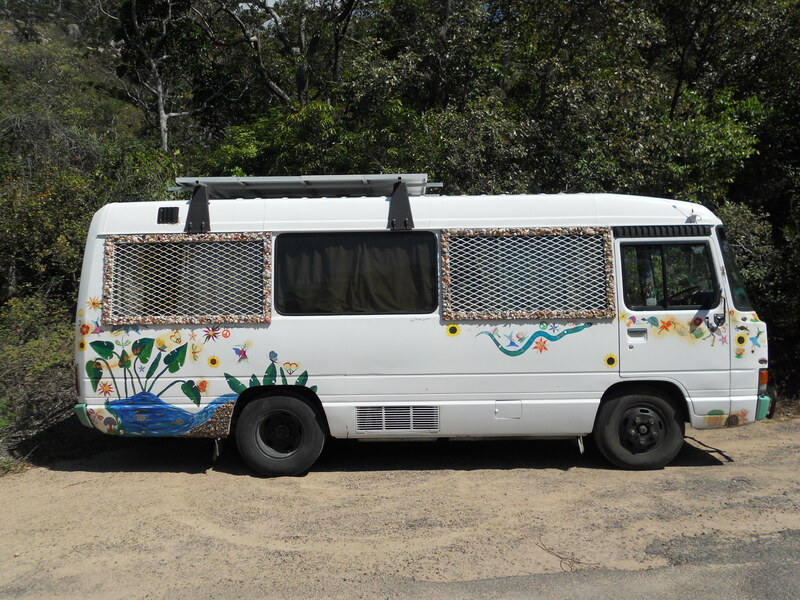 I had to have a photograph of this ‘magic bus’- my inspiration. As I got closer I could see there was still somebody inside, and I could hear the sublime sounds of Led Zeppelin floating through the open window. This was indeed Heaven on wheels! 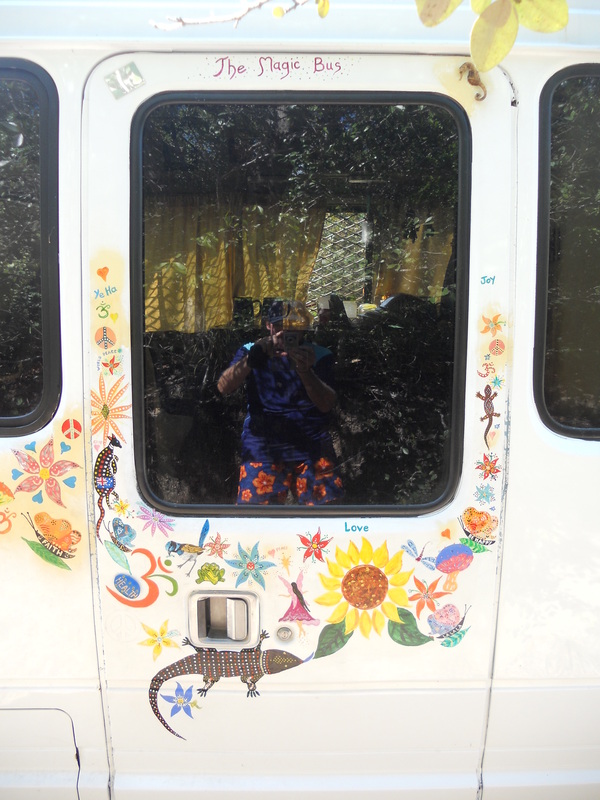 I went back to the car to put on my hiking boots and grab the snorkelling gear when the owner of the bus walked by on his way to Florence Bay to rendezvous with his wife for a mid-morning snorkel. We got to chatting and I found that his story was as inspirational as his vehicle. They are a couple from northern NSW who had long wanted to travel but were tied down by a small property and its encumbrances. They eventually decided to hit the road anyway and camped for about a year, but found it financially unsustainable having to pay for campsites. So they came home, picked up Gypsy Gems for a good price, did her up, and away they went. 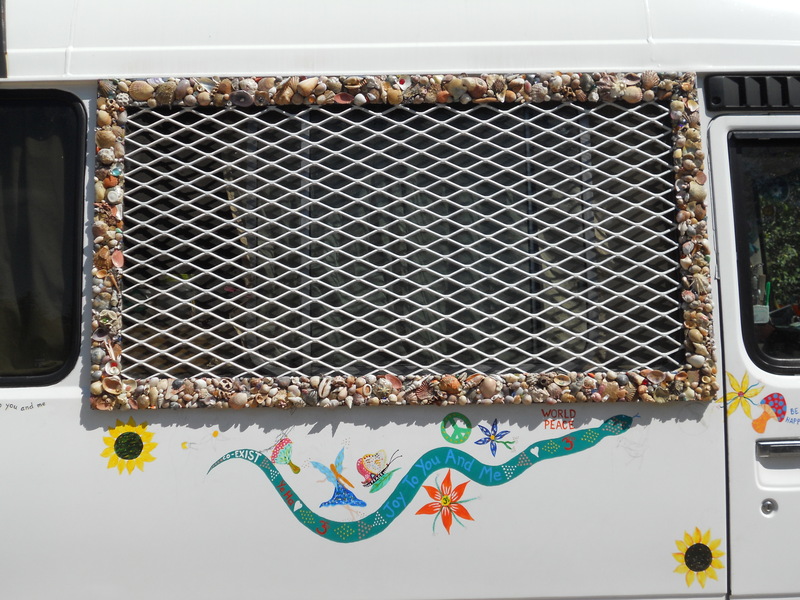 Gypsy Gems quickly paid for herself and now the key to their extended travel is ‘free camping,’ which is aided by the solar panels on the roof making them more self-sufficient. At first they were worried about the maintenance required on their property back home, but now they “don’t care if everything falls apart!” The owner was glowing with exuberance as he happily said “we’ve got no kids, no debt, and no money – but we’ve got this!” and he waved his arms around enthusiastically at the beautiful nature surrounding us on this stunning North Queensland tropical island. 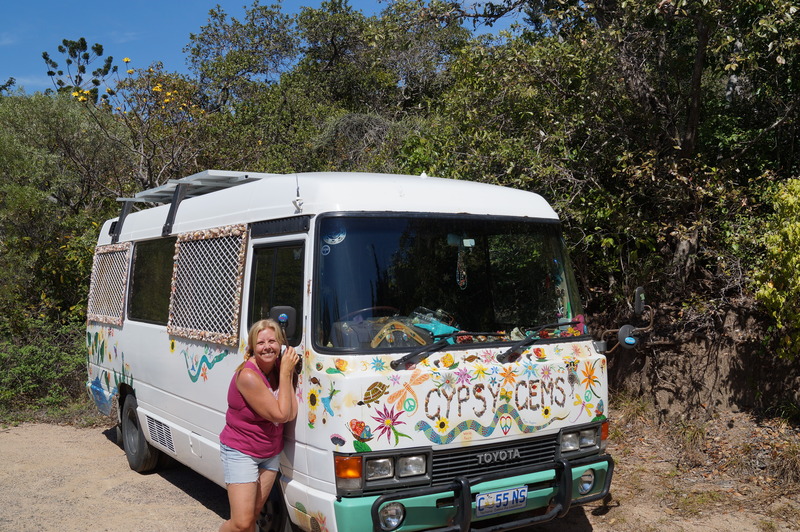 They fell in love with Magnetic Island (as you do) and have stayed for six weeks. This is the beautiful flexibility that comes with having your home on your back. 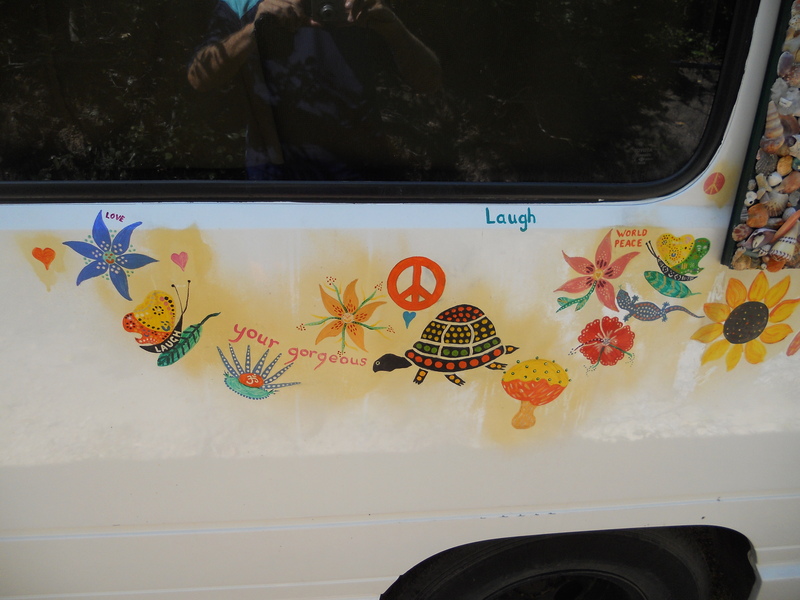 We asked for his top tips on other pieces of paradise in Oz (Tasmania seems to rate highly on most people’s lists), and his permission to get ‘snap happy’ with his van. He described how he’d met people who have taken 4 years to get from Perth to Brisbane, and others who had taken 4 weeks to travel around Australia. He was definitely an advocate of ‘slow travel’ and I tend to agree. I love hearing other traveller’s stories and often find them completely inspirational; the prioritising of values, and the lifestyle choices people make. It’s not the first story I’ve heard about people setting off on a trip which turns into a lifestyle. The travel bug doth bite! And I think I’ve been bitten … !